This refreshing soap gently cleans and leaves a fresh and stimulating scent on the skin. Infused with revitalising Pineapple and Sage extracts for a refreshing sensation. Provides a refreshing sensation. Nothing says ‘summer’ like turquoise, this season we love it with an ombre affect, the perfect graduation of the perfect summer colour. And of course the Ombre Tote has more than enought room for all your sun care essentials! 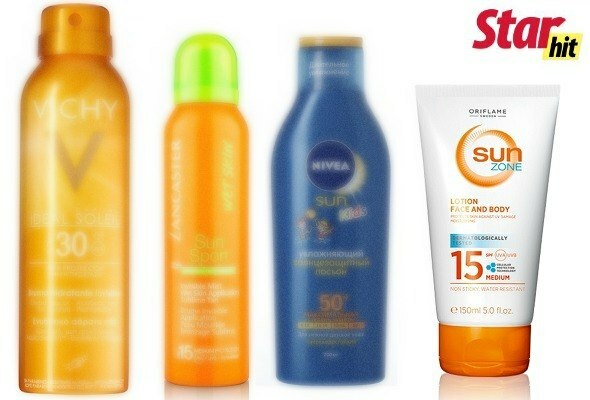 Prepare yourself and your family this summer with sun care the next generation of sun protection from Oriflame. This innovative sun care system will help you to safely maintain a healthy, gorgeous tan in, after and even without the sun. Apply protectant 20 minutes before sun exposure, and distribute it on the skin until completely absorbed. A layer of cream should be thin, since the degree of protection does not depend on the thickness of application. On the contrary a cream smeared can be heated in the sun and cause a skin burn . 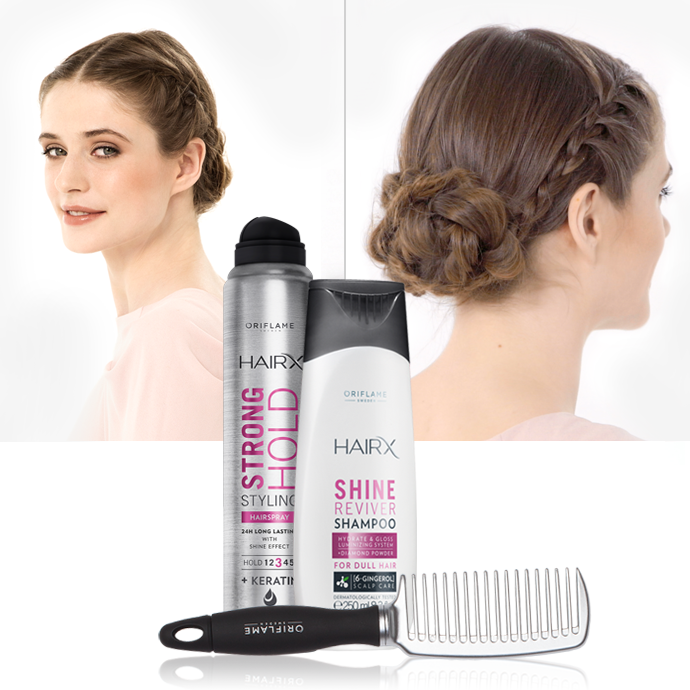 For a festive summer occasion, we are choosing an elegant chignon – updated with braiding, of course.To perfect this look, we recommend:HairX Strong Hold Styling Hairspray, HairX Shine Reviver Shampoo and a Detangling Comb. 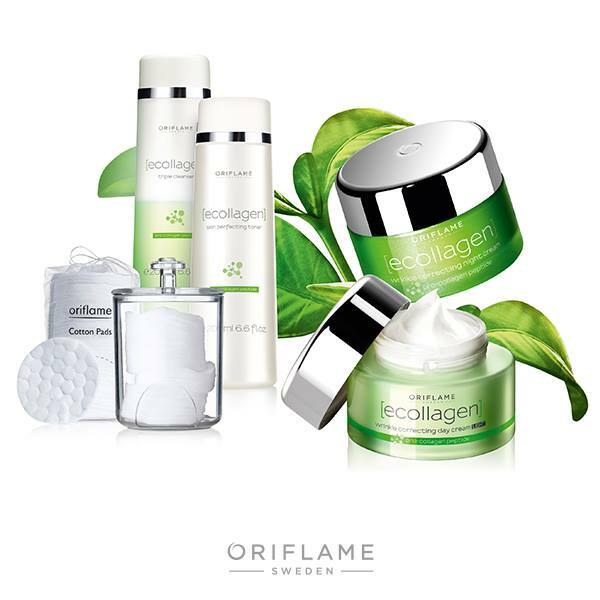 BOOST YOUR SKIN FOR FANTASTIC PRICE! Provides hydration and comfort to dry and sensitive skin type. Hydrates and comforts Nourishing light gel-cream, pale pink in colour. 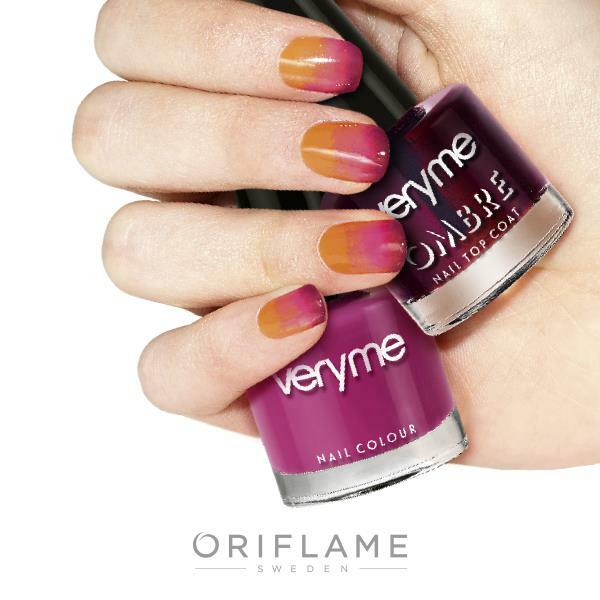 Easy to apply, quickly absorbed, refreshing with matte finish. Leaves the skin soft. Smooth wrinkles and improve skin texture (improves elasticity and firmness). Smoothen skin Thick cream, off white in colour. Easy to apply and delivers an instant nourishing and soft skin feel. 50 SUMMER HITS AT THEIR BEST PRICES OF THE YEAR – GUARANTEED! In celebration of the spectacular summer high season, we want to inspire you to new heights in beauty... And what could be more inspiring at this time of year than 50 of our most desirable skin care treatments, fragrances and personal care products – all at their very best prices of the year? - Visible result in 3 days - Assessment test in clinical condition on 10 people with mild to moderate cracked heels Works in 7 days - Consumer tested on 99 volunteers presenting very dry and rough heels ntensive care complex to provide your feet with protection, moisturisation and smoothness. It helps to restore and revitalise your feet keeping them smooth and soft. 10% Urea is the best natural moisturiser. Its ability to capture water reduces the thickness of the horny layer and restores the normal hydration process.